NINstim is built on top of PsychPy (psychopy.org) and intended to simplify building of behavioral experiments, particularly for brain imaging studies. Documentation for use is included. 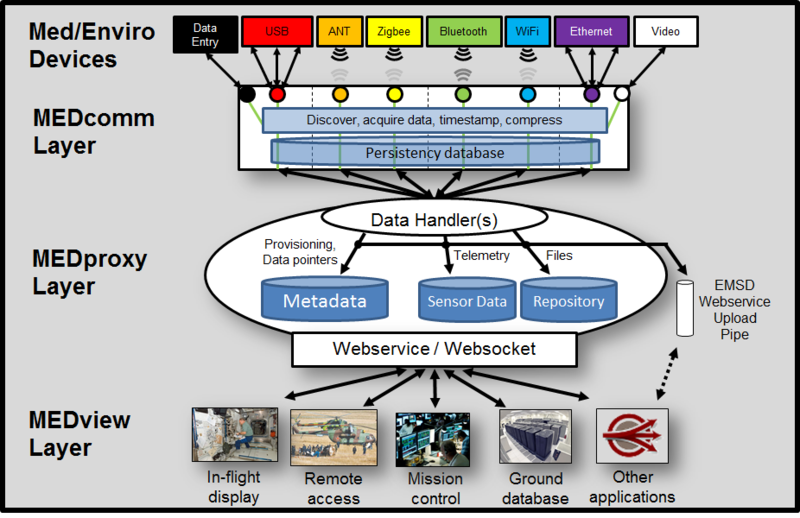 SpaceMED was designed for NASA to consolidate in-flight medical and environmental data acquisition, storage, communication and query/display functions. The platform is designed to handle single-shot, streamed, or file-based data, and supports multiple devices and communication protocols. The DPF is commonly used in near-infrared spectroscopy (NIRS) data analysis. This program and datafile provide an algorithmic method for selecting DPFs from experimental parameters such as wavelengths deployed, source-detector separations, and position on the head. The DPFs are based on a detailed suite of Monte Carlo simulations in the Colin27 head. A pure python module to support limited statistics in python. This served as the original basis of the scipy.stats package. The latter has since been greatly improved and is strongly recommended unless a python-only module is required. Manipulate flat text files a la Gary Perelman's |Stat ("pipe-stat"), doing column and row extraction and selection. My personal library for managing data files (mostly flat text). Note the name needed to change when Python introduced its own io.py module. Less necessary with the invention of numpy.genfromtxt().